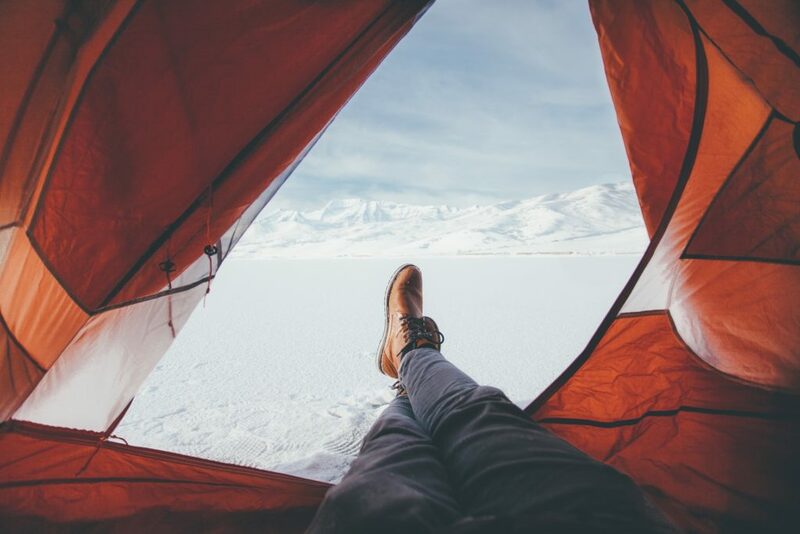 Most of us humans have created some sort of a bucket list or things we want to do or complete before we die. They can be anything from bungee jumping to singing in front of a large audience or truly anything! 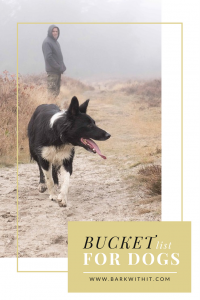 My question to you is though, have you ever thought about creating a bucket list for your dog? 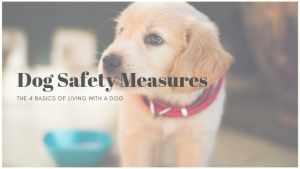 Things your dog can do before they cross the rainbow bridge, although we love thinking our dog can be with us our entire lives, it sadly isn’t the case. 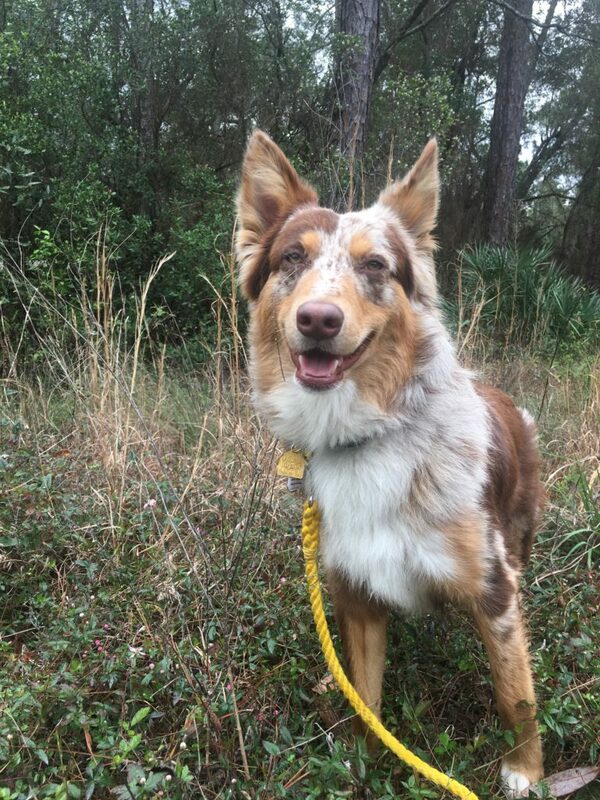 Let’s hear your list of things you want to do with your dog in the comment section below. 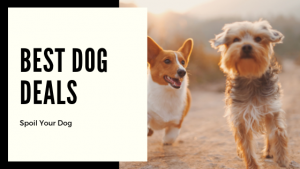 This is my personal list of 5 amazing ideas for my dog to complete on their bucket list that I made them. 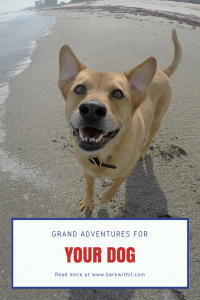 Here are 5 Amazing Ideas to put on your dog’s bucketlist. 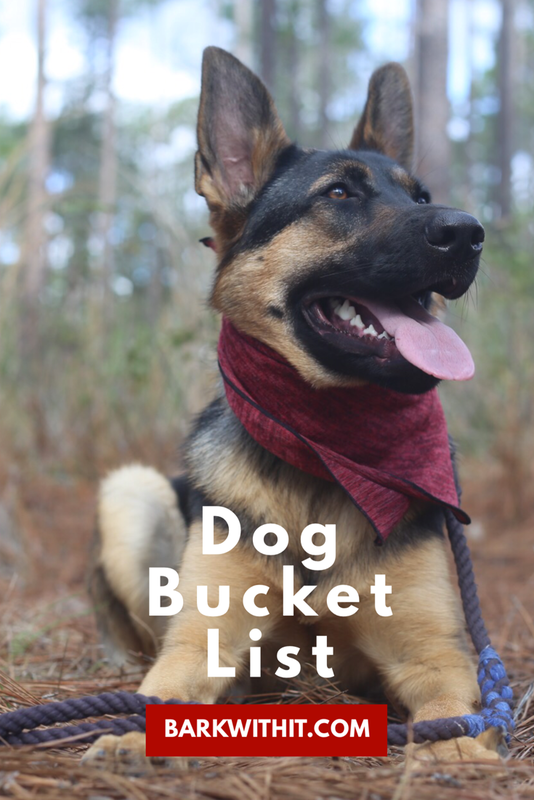 Dog Bucket List: Adventurous and creatively fun things my dog will do in their lifetime. I live in a beautiful area full of beaches and plenty of places to go paddle boarding. I’ve never been so I’d love to go but I know my dog would fully enjoy it to, or so I think they would. First of all, my dogs already have an Instagram account so we have this covered. In addition, they enjoy posing for me when I get my camera out. You can find them on Instagram over at @wrangling.kai They are totally spoiled and well loved over there. This is one of my dogs Kai. 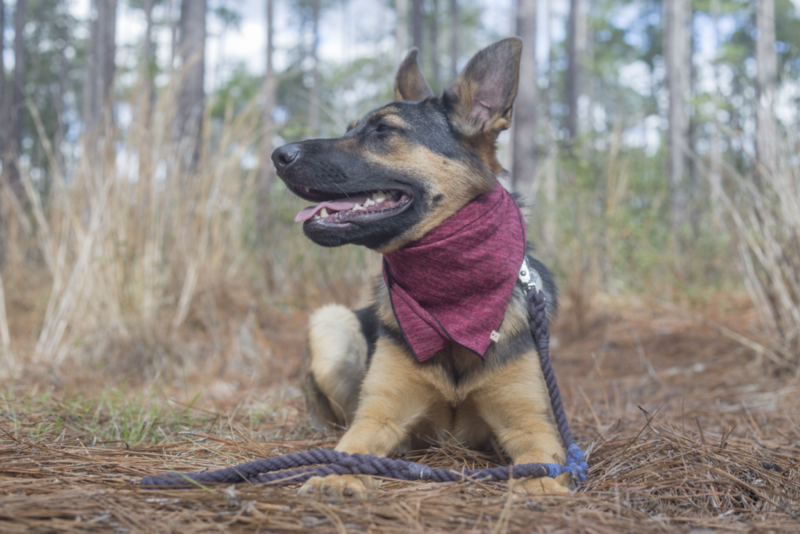 Her leash is from Kai’s Ruff Wear and the bandana is from Oh Tiny Heart. This is a goal for my dogs as they truly enjoy going on walks. I try to take them each on a daily walk of 1.5-2 miles and sometimes, most times I feel they could simply keep on walking forever. I hope that I claim that they hiked a national park trail. Wouldn’t it be totally rad to have dogs come over to party with your pup? I mean, who wouldn’t want a bunch of dogs playing in their yard? You can do this on your dog’s actual birthday if you know it or on their “gotcha” day. If there’s an activity that includes being outside constantly you can count my dogs in! My dogs love being outside. Furthermore, it seems like my dogs would never want to leave the camping site due to the fun they would be having. Thanks so much for visiting my blog. Before I replied to your comment I thought I’d check out your blog and meet your puppies. 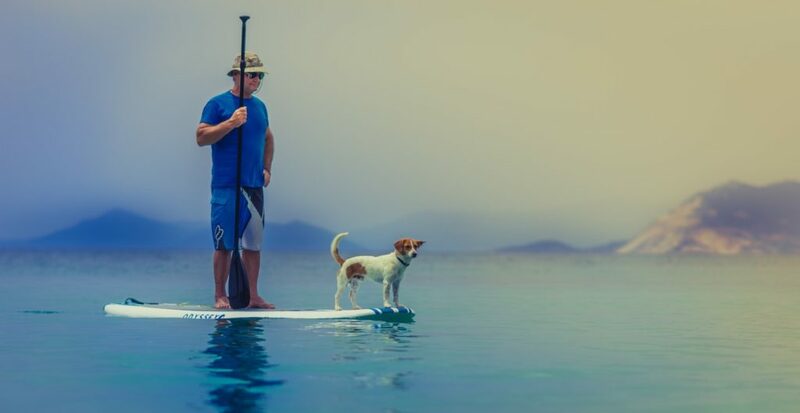 My dog’s have had a few adventures which a human would consider as being on their bucket list. However, I’m sure they have different ideas. They have been sailing and kayaking with us a few years ago. Bilbo, the older Border Collie, was quite nervy about this but did come back for further trips so might have enjoyed it. Lady was fine. However, I reckon their bucket list would include things like holding up the local butcher store, going to an all you can eat buffet and for Bilbo, having someone constantly throwing his tennis ball. Lady would like a never-ending supply of rabbits and I won’t elaborate on that! Great blog topic. Well done. Oh! Sounds like they have a grand bucket list put together for themselves. This post is adorable!! 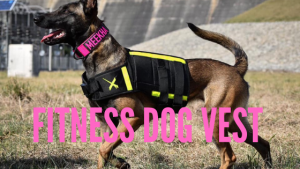 I love the idea, and I know my dog would love to go on similar adventures. She’s gone camping with us, almost run an entire half marathon, tons of hikes, and swimming in the ocean. Now I need to think of some more ideas for her to do! 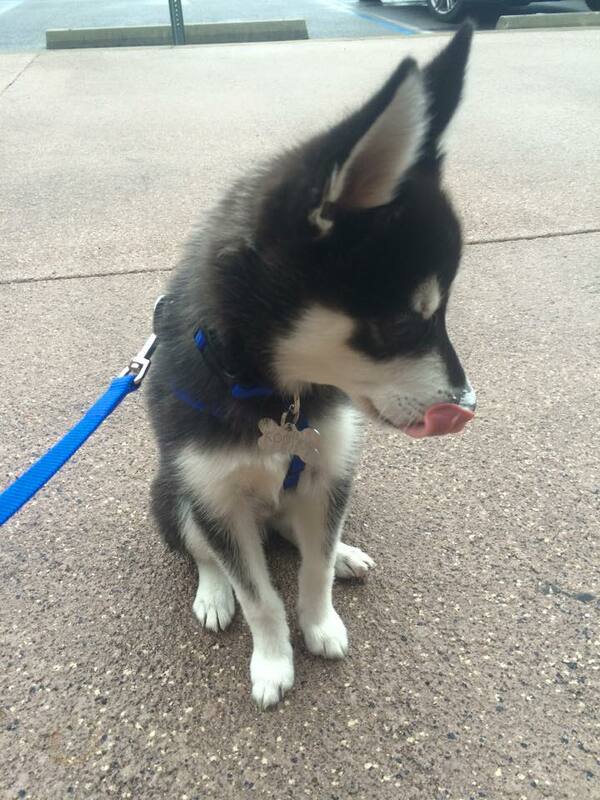 What a very lucky pup. A half marathon? That’s very impressive. Aw, I am sure they love the party! I’d also like to add go to a drive in movie! That totally sounds like fun. I may have to give it a try for my dogs.